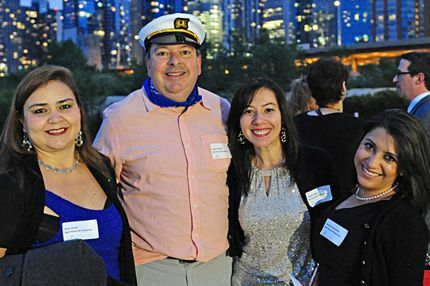 The WFFC Chicago chapter hosted a summer soiree boat cruise on Wednesday, August 26th voyaging around the Chicago skyline. 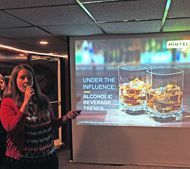 Chicagoland Flavor and Fragrance colleagues enjoyed the evening networking while dining on passed appetizers followed by a riveting trends presentation by Jennifer Zegler, one of Mintel’s Global Food and Drink Trends Analysts. The presentation “Under the Influence: Alcoholic Beverage Trends” focused on alcoholic drink innovations, which have inspired snacking and dessert products outside of the adult-only niche. 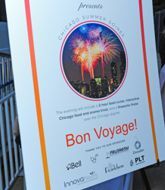 The evening concluded with a Chicago Food & Art trivia game and a fireworks finale over the skyline. 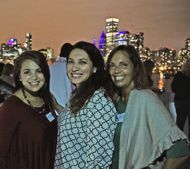 The evening was a night of networking and celebration and the WFFC is thankful to all attendees for their continued support. In addition, the WFFC would like to thank the following event sponsors who helped make this event possible through their generous partnerships: Bell Flavors & Fragrances, Inc., Belle-Aire Fragrances, Inc., Frutarom, Givaudan, Innova Flavors, Pearlchem, and PLT Health Solutions. 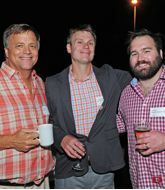 L-R: Rick Rust (iniTECH); Jeremy David and Chris Kelly of Belle-Aire Fragrances, Inc.